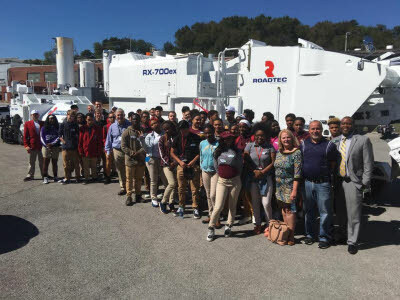 A new program launched this year by the Education and Workforce Development division of the Chattanooga Area Chamber of Commerce seeks to highlight industry opportunities to local high school juniors and seniors by providing facility tours of companies and organizations in Hamilton County. 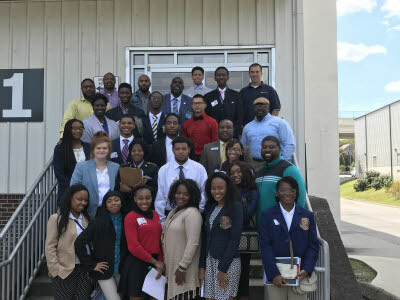 Students were able to tour and speak with employees at two local companies: Roadtec and EPB. Area employers look at these tours as an opportunity to impact students and their future career paths in a meaningful way, while educating the students of work that can be done right in their backyards. 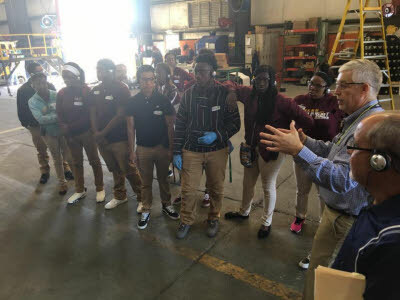 Mr. Lewis guided the students through the offices and plant at Roadtec’s Chattanooga plant. 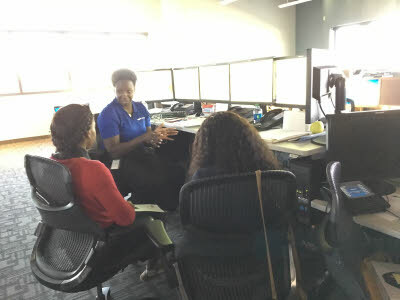 The students received first-hand information on the work being done, the careers available at the facility, and the credentials and/or certifications needed to obtain those positions. Ken Jones, manager of Fiber Designs at EPB, notes the impact of these tours not just for the students but for businesses, as well. “These type of activities allow companies to meet and work with some of the brightest and most intelligent young talent within our community," said Mr. Jones. "We have to find creative ways to inspire entrepreneurial thinking, promote the quality of our companies, and recruit and retain our community’s top talent to build a better Chattanooga. The Chattanooga 2.0 movement, which has been making waves in education reform in Hamilton County, released a report last fall focusing on strategies to support a cradle to career pipeline in our community. The report highlighted the benefits of creating seamless pathways between high school and postsecondary that support students learning earlier about career opportunities in the community and the credentialing path to a job in their desired field. 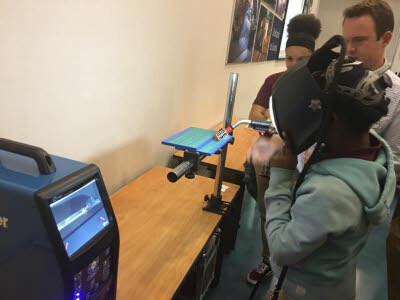 The Chamber hopes to expand this program into other industries and facilities and continue to provide more students the opportunity to match with potential career paths in the community.